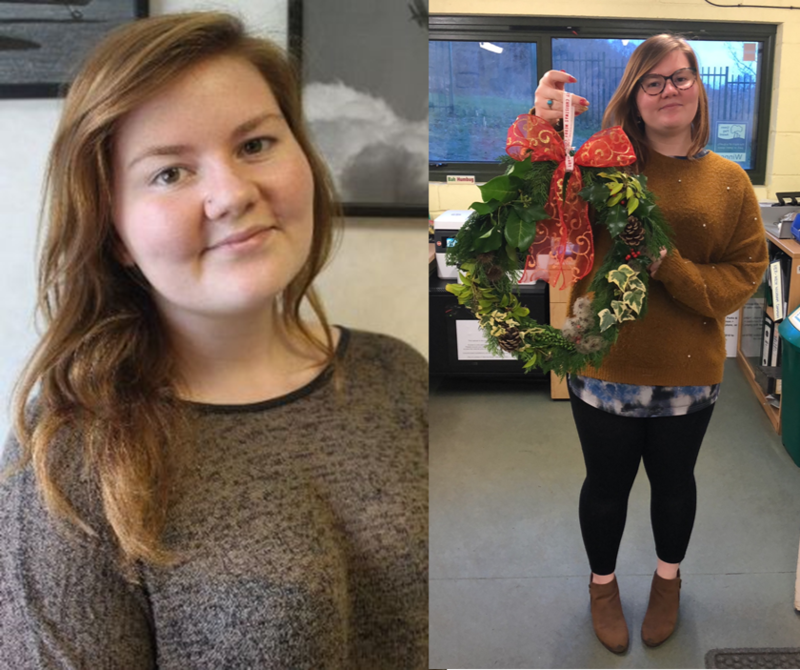 Kenley Revival November news - Farewell to our Apprentice, Volunteer Opportunities and more! 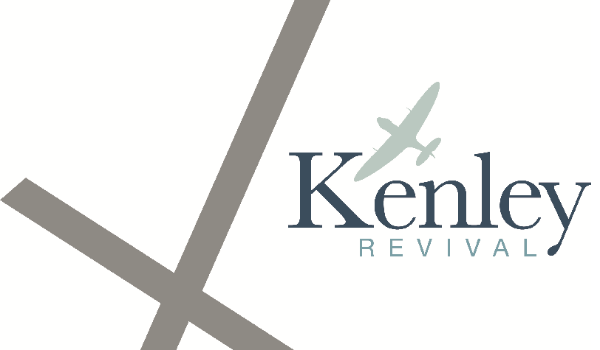 As the new year begins I am having to say goodbye to the Kenley Revival Project, throughout my time here at KRP I have had the pleasure of meeting and working with some amazing people, the whole experience has offered me so much, I have learnt an incredible amount about the history of the airfield and the part it had to play throughout WWII which has been inspiring, from someone who has grown up walking around the airfield with friends to now go there and feel the history it holds is something I will take with me forever. As a keen believer in everything happening for a reason and I think working with KRP has improved who I am and allowed me to make some genuine friends I will hopefully keep for a long time. I will sorely miss working on the project and the sight of cows outside my office window, but I assure you I will not be a stranger to the commons. Personally I am looking forward to seeing the new signage go in as I put a lot of blood, sweat and tears into them! Thanks to everyone who has supported me throughout my apprenticeship and made the whole time be a blast! 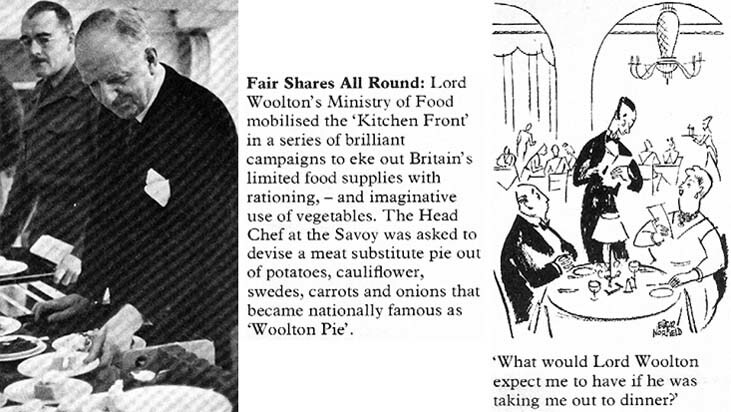 "A family breakfast during rationing would typically have been; Wheaties – stale bread diced and dried in the oven attempting to keep a cereal as the morning meal. A slice of National Loaf may have been available; this was a government regulated loaf made of wheatmeal flour (made from ground left over wheat and husks) and added calcium and vitamins. Tea was also a staple for breakfast." This was written by our Apprentice, Josie. Click here to read the full article on our website. Over the course of the Kenley Revival Project there have been many layers being made to produce the new interpretation that will be going on Kenley Airfield, the path has been a bit rocky, however we are pleased to announce that the artwork has been signed off and now it is in the process of being printed ready for the final stages. We would like to thank all those who gave their input towards the design and content of the artwork, also to those who have been waiting patiently for it. Any updates will be made here on our newsletter. We look forward to the signs going on site and hearing your opinions of the new look! 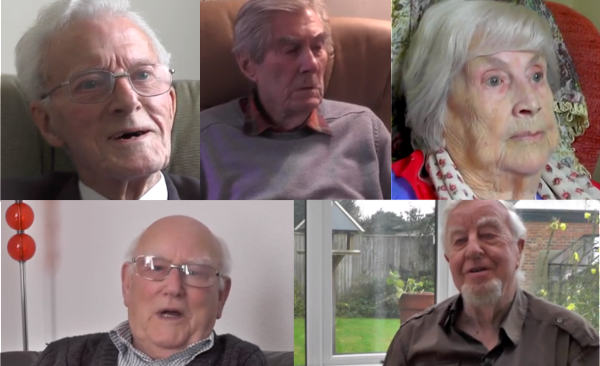 If you haven't yet seen our Oral History videos, you can find them on our website in 'History', click here to watch. There are also transcripts on our website from more of our Oral Histories, click here to read these. We know that there are many more stories to be told by so many fascinating people, sadly we cannot video them all, however, we are looking at posting blog posts about some people's memories so if there is anyone you think would be interested in sharing their memories with us, please let us know. 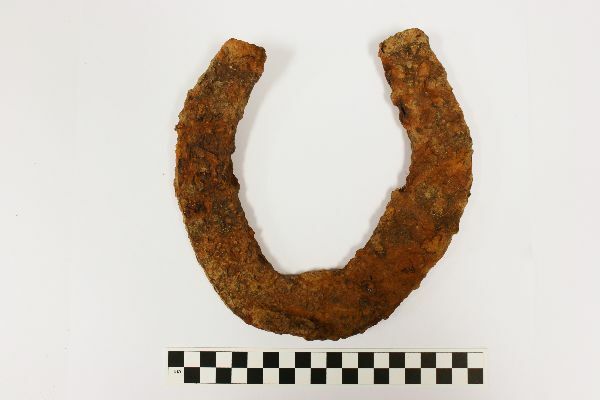 This horseshoe was found during our Community Archaeology dig last year, of course we know what it is but the question to be asked here is why was it found outside the flight hut over on that side of the airfield? These few ideas have been considered; it could have been found by a pilot or worker and used to play 'horseshoes' round a stake, it could have also been left there from when the fields were full of crops and horses would have been used to help ploughing. Why do you think it was there? We currently have no upcoming events for this month. Walking tours will resume in the spring when it is slightly warmer. The test panels on the Tribute blast pen have now experienced their first Christmas on Kenley, we are still giving them time to settle then they will be assessed by the Buildings Research Establishment. Again, we apologise for any inconvenience and we thank you for your patience. Updates will be given via this newsletter, please do observe any safety messaging you may see onsite.